What is the secret of good food? Exactly what is nutrition that really strengthens and nourishes us? Ruediger Dahlke posits that this is determined particularly by the living freshness of the food. Sensitive eaters can feel this, and it is scientifically proven at the cellular level in plants. 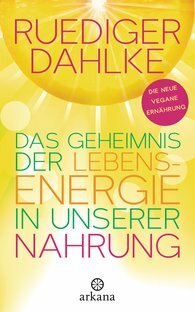 Ruediger Dahlke recommends particular superfoods that give us the greatest possible life energy for each month through the year. Along with the vital freshness, it is vital warmth, rhythm, and genetic age that are the keys to a new food culture, a culture that prefers carefully selected foods over excessive quantity and questionable quality. "The new book is an exciting journey through the nutrition jungle."